LCD Display (16X2): LCD (Liquid Crystal Display) is an electronic display module and find a wide range of applications. 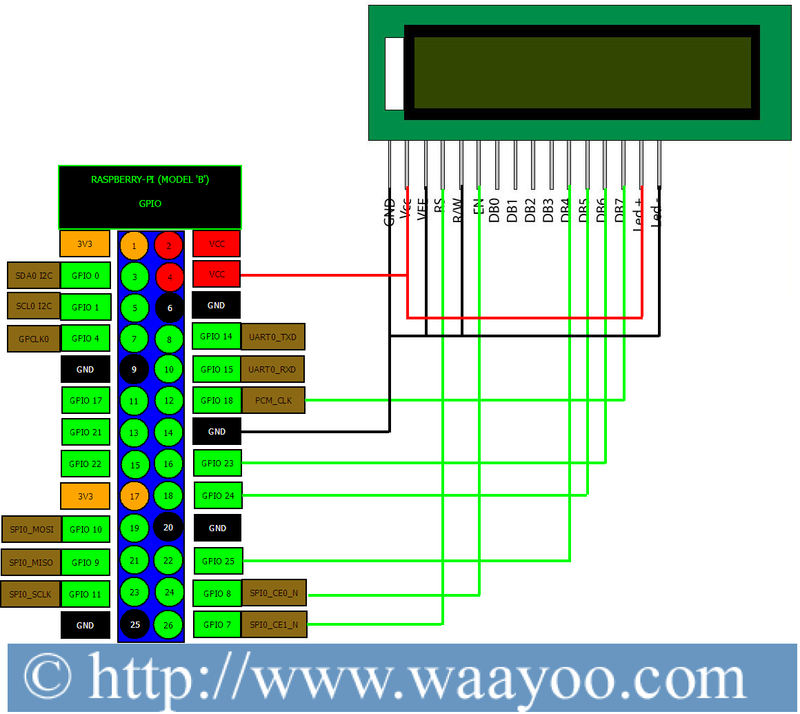 A 16×2 LCD display is very basic module and is very commonly used in various devices and circuits. These modules are preferred over Seven Segment and Leds. The reasons being: LCDs are economical; easily programmable; have no limitation of displaying special & even Custom Characters and animations unlike Seven Segment and Leds. 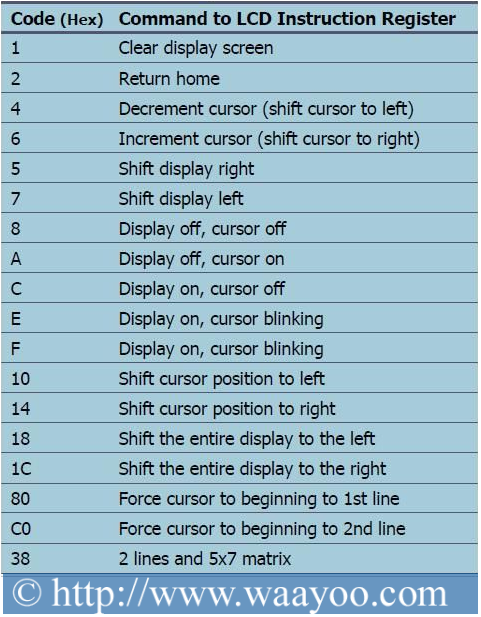 A 16×2 LCD provides 2 Rows and 16 Columns, that means you can display 32 characters at a time. In this LCD each character is displayed in 5×7 pixel matrix. The data register stores the data to be displayed on the LCD. 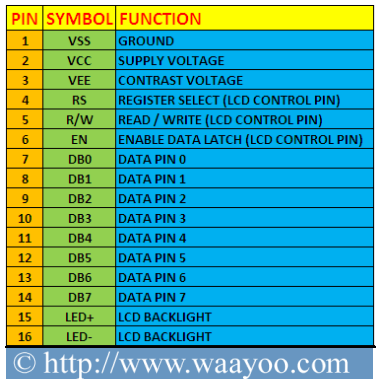 The data is the ASCII value of the character to be displayed on the LCD.LCD Display Address:In 16×2 LCD, First Row address starts from 0x80 to 0x8F and Second Row address starts from 0xC0 to 0xCF. When High to Low pulse pass on this pin then data will be latched on LCD. of 4 bits. 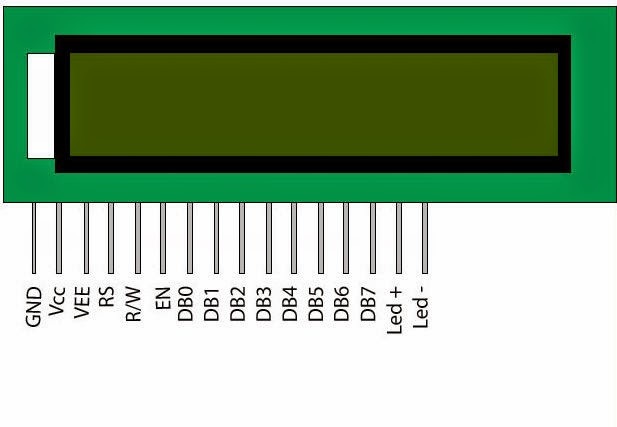 This is great as it reduces the number of GPIO connections you require when interfacing with your Pi.